Front row left to right: Jimmy Foster, Larry Kier, Linda Hicks, Karen Rogers, Carol Briskey, Michael Allison. Middle row: David Gibbs, Kay Sheahan, Walter Morano, Nancy Shera, Larry Kelsey, Rickey Eckhoff, Jimmy O'Meara, Jimmy Moyer. 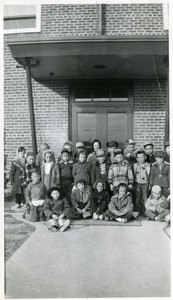 Back row: Connie Cannon, Patty Wade, Billie Jayne Bichel, Danny Swails, Linda Marie Goss, Jimmy Foster, Jack Mathes, Peter Devins, Artie DeArmond. 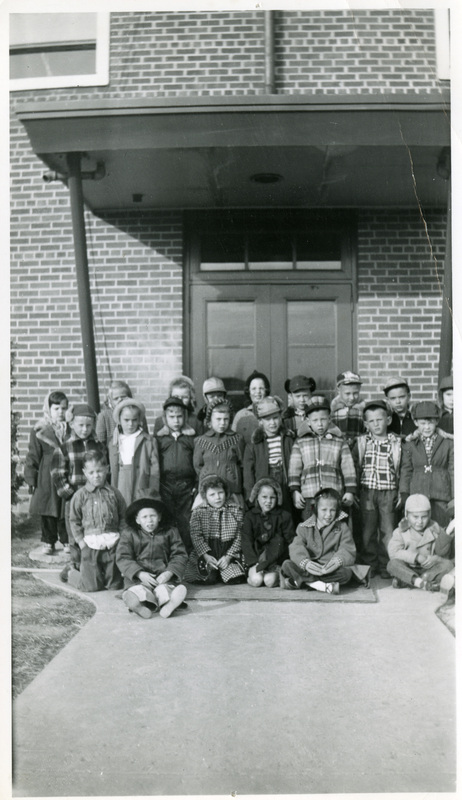 “Coralville School Kindergarteners, Morning Group, Spring 1954,” Iowa City Public Library, accessed April 19, 2019, http://history.icpl.org/items/show/1915.